Scholarship recipient Molly Velbeck in front of the Moda Center, home to the Portland Trail Blazers. Molly Velbeck took the opportunities scholarships at Illinois State provided to her all the way to the offices of a major sports franchise. Velbeck, a senior integrated marketing communications major and recipient of the C.W. Chan Endowed Scholarship and Enterprise Rent-a-Car Student Development Fund for Professional Sales, began her time at Illinois State ahead of the game. She earned her associate’s degree from Rock Valley Community College just one day before she graduated from high school. She then fell in love with Illinois State because of its inviting campus and the reputation of its College of Business. Velbeck’s resume is impressive thanks to her many accomplishments while a student at ISU. Helping her along the way were the scholarships and grants she received from ISU, which gave her the opportunity to get involved on campus without having to worry about financially supporting herself while studying. To her scholarship donors, Velbeck offers a heartfelt thanks. Having an interest in sports marketing from a young age, Velbeck dove into every opportunity she came across to help herself stand out and enhance her resume. Velbeck knew that working for a professional sports team was her calling and started working diligently towards that goal. Since beginning at ISU, Velbeck has been vice president of the Sports Marketing Student Association and on the Partner Relations Committee for Sales Excellence. 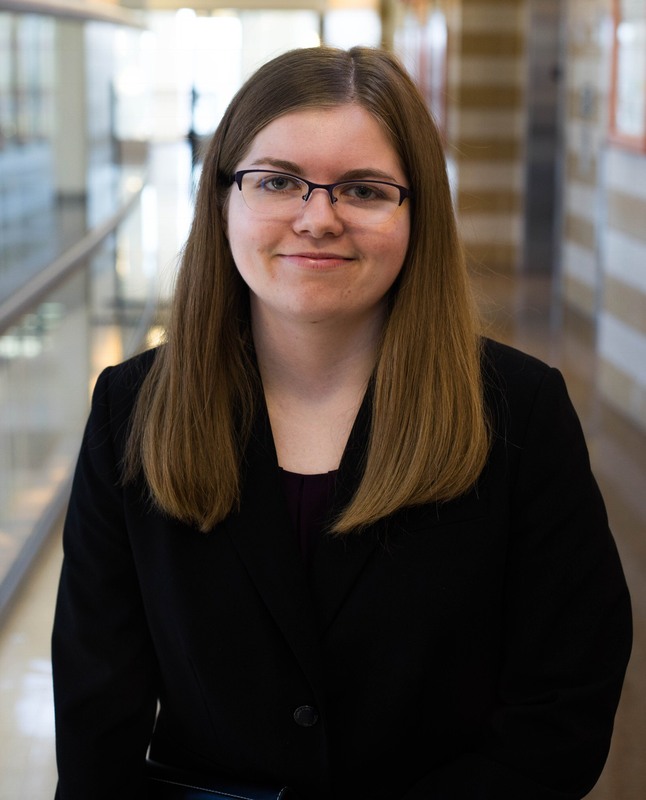 Her greatest accomplishment since coming to Illinois State was being elected project manager for a project within the Innovation Consulting Community. “This was an amazing opportunity for me and made me feel that there was a purpose for being here,” Velbeck said. Velbeck interned during summer 2018 for the Portland Trail Blazers in Portland, Oregon. Thanks to her scholarships, Velbeck has been able to enjoy college and become a business professional with a career waiting for her in just a few months. Velbeck will move back to the Pacific Northwest upon graduating in May to begin a full-time position in the Inside Sales Department of the Portland Trail Blazers. Velbeck is the perfect example of the power of student scholarship support. Scholarships help students and families in a time of need and motivate students to pursue their academic goals. Redbirds Rising: The Campaign for Illinois State is the most ambitious in the University’s history with a goal of $150 million. It will provide students and faculty with the resources to enhance the educational experience at ISU. With a commitment to scholarship being a top priority, the funds from Redbirds Rising will allow students to gain experience outside of the classroom through University programs to gain real-world experience before graduation. This makes our students stand out and gives them confidence entering the workforce. To support other students like Molly Velbeck on their academic journey and join over 46,000 contributors to scholarship, leadership, and innovation at Illinois State visit RedbirdsRising.IllinoisState.edu.